James Guthrie Orchar operated a profitable business and established his reputation as an industrialist who devoted his wealth and leisure time to civic affairs, especially in support of fine art. He was a major collector, artistic patron and public benefactor. James Guthrie Orchar was first apprenticed to his father's trade as a wright. 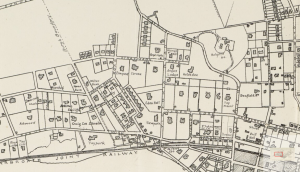 On completion of his apprenticeship, he moved from Craigie into the town of Dundee, working for a time as a joiner, before turning his attention to engineering. Orchar became an apprentice engineer with the firm of Kinmond, Hutton & Steel at Wallace Foundry. While in their employ it was reported that he had been involved in the production of the first locomotive in Dundee, for use on the Dundee & Perth Railway, opened in 1847. Wallace Foundry was noted for locomotive as well as textile engineering. James Guthrie Orchar was also reported to have taken classes at the Watt Institute, becoming 'a fine draughtsman and watercolorist.' In August of 1847, the firm of Kinmond, Hutton & Steel was dissolved when Messrs Hutton and Steel ceased to be partners. James Guthrie Orchar then spent some time in England, securing a post in the drawing office at Portsmouth Dockyard, before returning to Dundee late 1854/early 1855. On his return, James became a draughtsman and manager with his former employer, James Steel, at Lilybank Foundry. 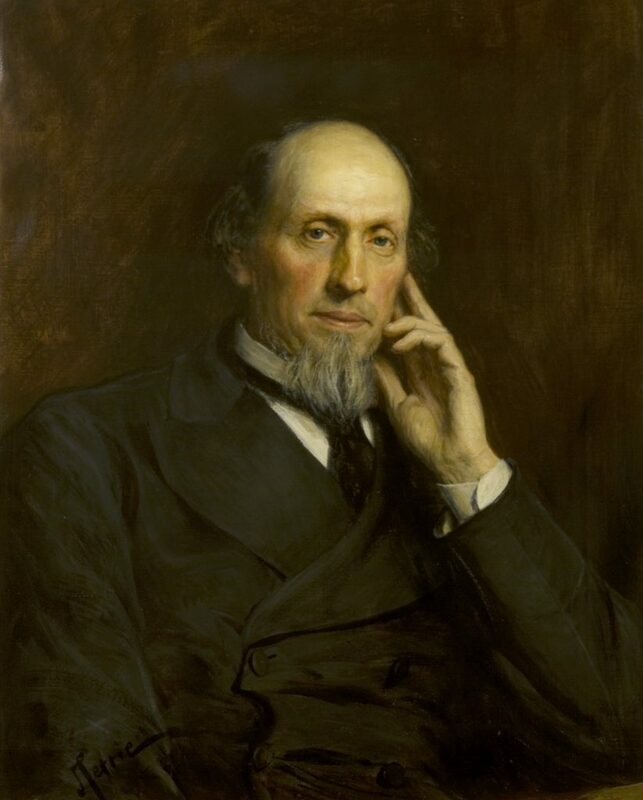 In 1856, James Guthrie Orchar was presented with a testimonial from the workforce of Lilybank Foundry 'on his leaving his situation for the purpose of commencing business as partner of the firm of Messrs Robertson & Orchar,' with William Robertson (later Provost of Dundee, 1875-78) at Wallace Foundry. To mark the occasion, Orchar was presented with a set of drawing instruments of 'first class English manufacture.' His chosen partner, William Robertson, had previously been a manager with Baxter Bros., and had also been a leading draughtsman under Peter Carmichael at Baxters' Dens Works. Robertson & Orchar's taking over of the Wallace Foundry was immediately successful. Wallace Foundry designed, patented and manufactured machinery for the rapidly expanding textile industries, in Dundee and exported to factories in Europe. Nearly all the world's 19th century weaving machinery was made in Dundee, with Robertson & Orchar being one of the principal makers. Messrs Robertson & Orchar were also reported to have designed a number of industrial buildings as early as 1857 when they were commissioned to design and build the Bowbridge Works for J & A D Grimond. 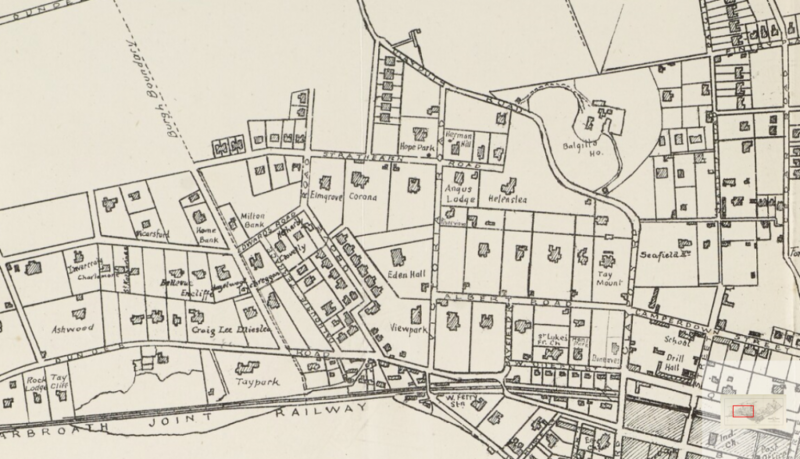 Seafield Works was to follow shortly after in 1859, the factory in Dura Street for Messrs Laing & Sandeman in 1865. A number of works (eg Dens, Camperdown and Tay Works) were designed by the engineering departments of the firms concerned whereas, the likes of Bowbridge Works was the showpiece of Robertson & Orchar of Wallace Foundry. It has been claimed that 'it is to this partnership that Dundee owes many of its best textile buildings.' Theirs was a partnership founded on engineering skills, draughtsmanship, experience and aesthetics which proved to be extremely profitable. By profession a wealthy industrialist, James Guthrie Orchar is chiefly remembered for his major art collection, as a patron of Scottish artists and a promoter of popular participation in fine arts within Dundee. Orchar believed in the humanising and improving effects of the arts in industrial cities like Dundee and, from the 1860s, began to exert his influence on the policy for exhibiting art locally. 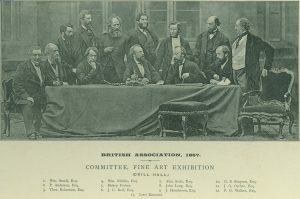 He was a discerning collector and major contributor to exhibitions in the art galleries added to the Albert Institute in 1873 and the annual Fine Art Exhibitions which ran until 1895, lending and donating pictures from his own collection. In 1874, after the inaugural Fine Art Exhibition, it was declared that James Guthrie Orchar was one ‘who had signalised himself by presenting a very beautiful picture, which was exhibited for the first time that evening,’  thereby initiating the tradition of buying a work from the Fine Art Exhibition for donation to the Albert Institute. As an artistic patron, Orchar was associated with the circle and pupils of the Scottish artist, Robert Scott Lauder. Orchar was a close friend of Lauder’s most talented student, William McTaggart (1835-1911), collecting many of his paintings. They also visited Europe together in 1882. 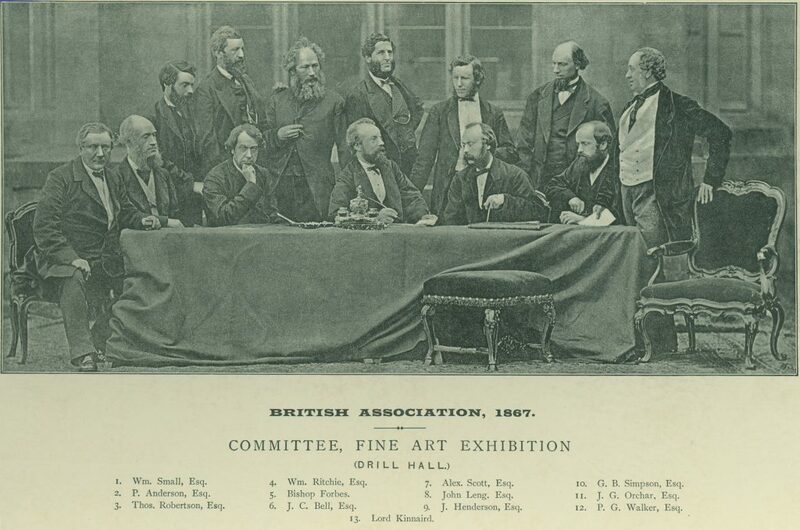 In 1885, a civic banquet in Orchar’s honour was held ‘in grateful recognition of his valuable services to the Cause of Art and munificent gifts to the Picture Gallery.’ Orchar played a significant role in campaigning for new galleries for a permanent collection in Dundee, donating pictures and using his wealth and influence on the Albert Institute management committee. The Victoria Galleries were opened on 24 October 1889 and Orchar’s influence can be seen in the angled walls and double glass ceiling. Orchar was also involved in civic affairs and in 1886 was elected Chief Magistrate and Provost of Broughty Ferry. He defrayed the cost of improvements to public parks at Reres Hill and Monifieth Road (now Orchar Park). 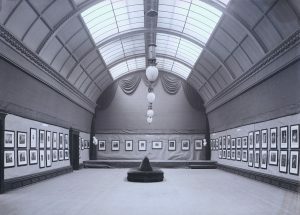 In 1898, his will directed that his entire art collection of over four hundred paintings, prints and drawings, was to be ‘retained for the benefit of the burgh of Broughty Ferry for public exhibition for all time coming.’ Funds were provided for a gallery to display the collection and the Orchar Gallery in Beach Crescent, Broughty Ferry was eventually opened in 1929, closing in 1979. The Orchar Collection now forms an important part of the Dundee permanent collection in the McManus Galleries and in Broughty Ferry Castle Museum. Biography Report. British Dictionary of Scottish Architects. scottisharchitects website. Birth date estimated from 1861 census, no baptism record traced. Census Records. Dundee. (1861). 282/01 24/ 37. ScotlandsPeople website. Dundee Obituary Book 1. pp.138-9. Dundee Central Library, Local Studies. Old Parish Registers. Dundee. Marriage of James Orcher (sic) and Catherine Nicoll. 26 December 1849. 282/230 304. ScotlandsPeople website. Old Parish Registers. Dundee. Births. (1854). 282/ 200 235. ScotlandsPeople website. Statutory Registers. Deaths. Logie, Perth. (1891). 374/ 90. ScotlandsPeople website. The Post Office Dundee Directory, 1856-57. p.128. Dundee Central Library, Local Studies. The Post Office Dundee Directory, 1858-59. p.171. Dundee Central Library, Local Studies. The Post Office Dundee Directory, 1861-62. pp.190. 198. Dundee Central Library, Local Studies. The Post Office Dundee Directory, 1864-65. pp.168, 176. Dundee Central Library, Local Studies. Census Records. Dundee. (1871). 282/ 4 1/ L22. ScotlandsPeople website. Dundee Directories (1874-98). Dundee Central Library, Local Studies. Statutory Registers. Dundee. Deaths. (1898). 282/4 469, p.157. ScotlandsPeople website. 'Funeral of Provost Orchar.' Dundee Advertiser, 19 May 1898. British Newspaper Archive website. Dundee Courier. 8 July 1857. p.2. Findmypast website. Scruton, David. James Guthrie Orchar and The Orchar Collection. (1998). St Andrews. Crawford Centre for the Arts. pp.4-7. Dundee Courier, 25 February 1875. p.1. British Newspaper Archive website. Dundee Evening Telegraph, 14 May 1898. Findmypast website. Watson, Mark. Flax and Jute Mills in Dundee. (1990). Tayport. Hutton Press Ltd. p.97. Montrose, Arbroath & Brechin Review. 27 August 1847. p.1. British Newspaper Archive website. Dundee Courier, 17 December 1856. p.1. Findmypast website. Dundee Courier, 26 November 1856. p.3. British Newspaper Archive website. Watson, Mark. Flax and Jute Mills in Dundee. (1990). Tayport. Hutton Press Ltd. p.87. Dundee People's Journal, 4 September 1865. p.4. Findmypast website. Watson, Mark. Flax and Jute Mills in Dundee. (1990). Tayport. Hutton Press Ltd. p.58. Jarron, Matthew. "Independent & Individualist" Art In Dundee 1867-1924. (2015). Dundee. Abertay Historical Society. pp.13-14. Jarron, Matthew. "Independent & Individualist" Art In Dundee 1867-1924. (2015). Dundee. Abertay Historical Society. p.32. Macdonald, Murdo. (2000). Scottish Art. London. Thames and Hudson. p.121. Press cutting, 'Civic Banquet for Mr Orchar.' 14 January 1885. Lamb Collection. LC 217(75). Dundee Central Library, Local Studies. Scruton, David. (1989). The Victoria Galleries: Art and Enterprise in Late Nineteenth Century Dundee. Dundee. Dundee Art Galleries and Museums. pp.8-13. Press cutting, 'Provost Orchar's Estate.' Dundee Advertiser, 3 October 1898. Lamb Collection, LC311(53). Dundee Central Library, Local Studies. Scruton, David. James Guthrie Orchar. St Andrews. Crawford Centre for the Arts. pp.7-8. The information above about James Guthrie Orchar has been collated from a range of digital and hard copy sources. To the best of our knowledge it is correct but if you are relying on any information from our website for the purpose of your own research we would advise you to follow up the sources to your own satisfaction. If you are aware of an inaccuracy in our text please do not hesitate to notify us through our Contact page.